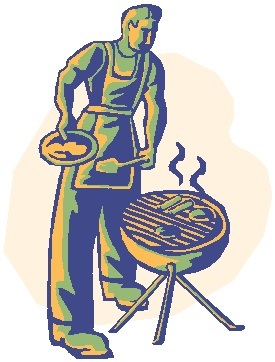 Phoenix Law Enforcement Association > PLEA News > Another Successful Cookout! On Wednesday, October 10, 2012, a benefit cookout for Phoenix Police Explorer Post 2906 was held at the PLEA Garage Grill. Under the guidance of Post Advisor Detective Doug Burrow, this outstanding and highly motivated group of young men and women did the vast majority of the prep, setup, cooking, and cleanup for the event. Attendees included Chief Garcia, Chief Yahner, Chief Robinson, several Commanders, numerous Patrol Officers and supervisors, DOU Officers and Supervisors, Detectives, civilian staff from various Bureaus, City Manager David Cavazos, Deputy City Manager Ed Zuercher, Councilmen Danny Valenzuela and Jim Waring, and of course, numerous members of the community who we protect and serve. PLEA appreciates the support that everyone who attended this event showed for this vital program, which is considered to be the future of law enforcement. Thanks to your generosity, we were able to raise over $2800!